The Philippine Institute of Volcanology and Seismology warned that if a 7.2 earthquake hits the National Capital Region, Metro Manila and nearby provinces may be isolated due to collapsed roads and buildings. 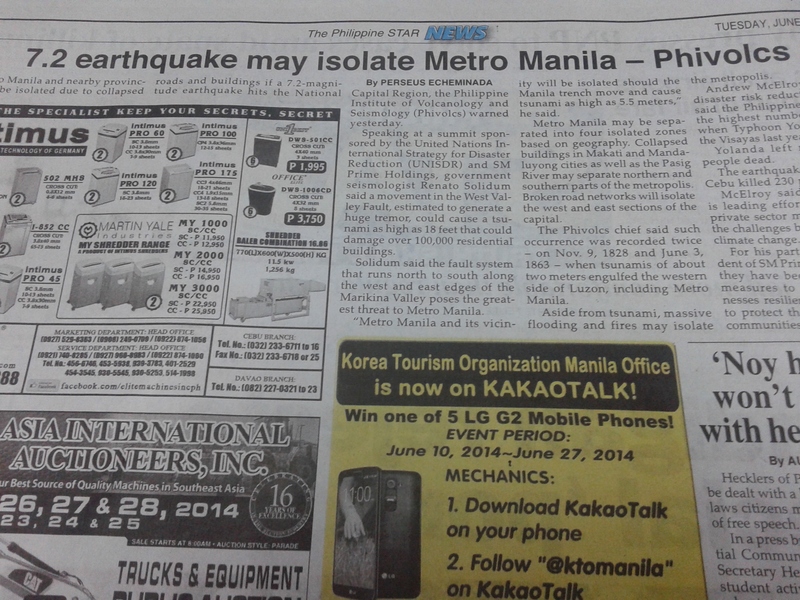 This assessment was reported in The Philippine Star News last June 17, 2014. The report alleges that: “The fault system that runs north to south along the west and east edges of the Marikina Valley poses a greatest threat to metro manila”. Also, Renato Solidum, who is a government seismologist, was quoted in the report saying that movement in the said the West Valley fault is estimated to generate a huge tremor, which could cause tsunami as high as 18 feet that could damage over 100,000 residential buildings. Is there a reason to fear for 7.2 earthquake in Metro Manila? 2014 Major Earthquake Prediction:Is it believable? The dailypostal.com site reports: “According to the International Earthquake and Volcano Prediction Center (IEVPC), a non-profit science research organization located in Florida, a possible 8.0 magnitude earthquake may hit the Philippines in 2014. The organization issued in early 2013 a Catastrophic Geophysical Event (CGE) Warning Notice (CWN) for the Molucca Sea. This CWN specified a predicted major earthquake M8.0+ and associated tsunami that may strike the Philippines and northern Indonesia between now and December 2014″. In Cebu City, Philippines, Sto. Nino Basilica was heavily destroyed by 7.2 earthquake on October 15, 2013. 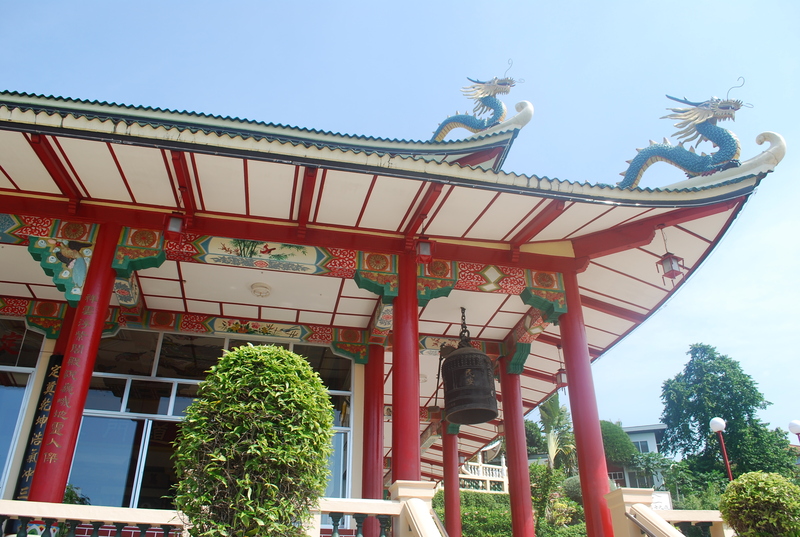 Also affected were the Roman Catholic Churches in Bohol, Philippines. Unfortunately, some Cebuanos were seen carrying Sto. Nino “idols” in television, as if Sto. Nino “idols” can save them from graver (one who carves) punishments. The acts shown by Cebuanos are grossly constituting idolatry , which is a spiritual stressor that was previously discussed in this site. The publisher is about to discuss the succeeding verses of Habakkuk 2 after touching the verses that were noted to be the “judgment” for United States and France.